So I finally leave San Jose de Ocoa and go to Maimon. "Early" - around 10 am. 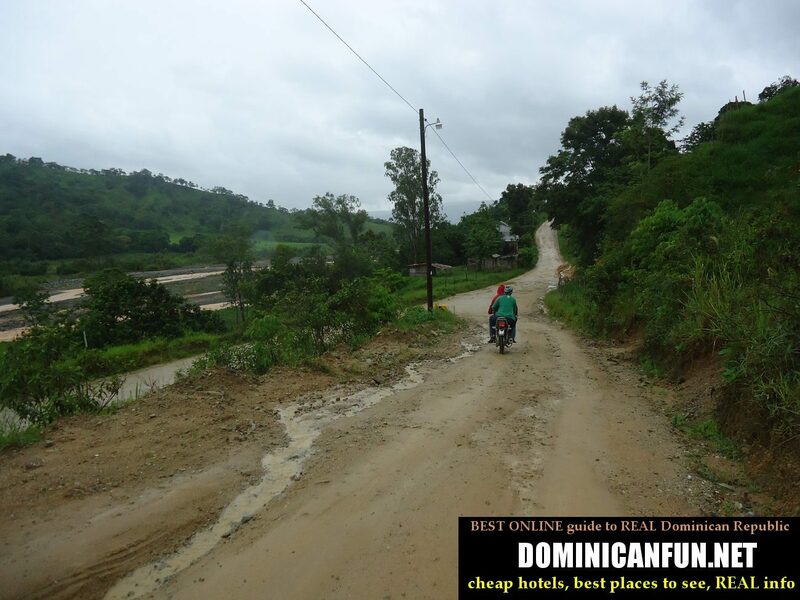 I remember as i avoided as possible the road Constanza - San Jose de Ocoa, due to its really bad quality. Guess what...The road from San Jose de Ocoa to Maimon (Pedra Blanca to speak exactly) is in similary bad condition....50 kilometres of unpvaved road, with more potholes than actual road. I will try my luck then. Unfortunately for me - its raining, so the unpaved road changes itself to some kind of mix of the road with MUD. A lot of mud. Mud, stones and gravel. All together to make it "unforgetable journey". The road passes through wilderness and abandonded terrain - I am actually glad that nothing wrong happened. But it havent. I remember being here in January and I was delighted by the picturesque lake - presa de Hatillo. Unfortunately - Maimon during rainy season is a completely different place. The bridge leading from town to the lake is flooded now completely by the water. The people go there by boats, not by cars or motorcycles. And since I have only motorcycle...;-) I wont visit it again, unfortunately.